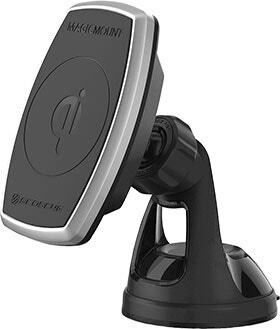 Great for use with smartphones, tablets, smart and sport watches, exercise equipment and many other devices that support Bluetooth® Smart or ANT+ heart rate data. Extended use rechargeable battery allows you to workout for up to 24 continuous hours. With a 3 LED light battery indicator you’ll always know how much battery life you have left. Patented optical sensor technology for highly accurate monitoring and measurement with all skin tones. Breathable, soft, stretchable armband design means great comfort and ease of use. Comes with an adjustable band. Allows you to leave your mobile device behind, record workouts and upload data to your device later. IP68 sweat and waterproof construction means the same great accurate performance in both dry and wet conditions. Rhythm24™ can even be submerged up to 10 ft. Provides superior measurement with all skin tones. Better than monitors and watches that employ only green sensors. Why train with a heart-rate monitor? Finding your personal heart rate zone and training with heart rate intervals allows you to maximize your workout. Simply put, if you train at lower heart rates (BPM or Beats Per Minute) it will require you to workout longer to achieve benefits. If you work out at BPMs that are too high for a prolonged period, you will burn out too fast, before you’ve reached your workout goals. Rhythm24 has advanced optical sensors that will give you a precise BPM reading so you can stay in your zones and receive the maximum benefit from your workout! The chart below illustrates the relationship between heart rate levels and workout efficiency during interval training. Please consult your physician before starting any exercise routine to ensure that you are healthy enough to engage in a training regiment. Heart rate zones vary by a person’s age, consider consulting a personal trainer regarding the appropriate heart rate zones for you. * Maximum heart rate varies depending on your personal health and fitness level. Consult your doctor and trainer prior to heart rate interval training to determine your max BPM. Scosche's Rhythm Sync app allows for communication with the Rhythm24 Heart Rate Monitor. To go from swimming, to biking to running quickly and to have your heartrate tracked alongside that just makes for an easy day of training. For the most accurate reading​s​, wear the Rhythm24 on the ​upper forearm, biceps, or triceps snug enough to not move on your arm, but NOT so tight that it restricts ​circulation. It’s been really wonderful to have a product that no matter what the modality I’m working on it stays, it’s comfortable and I don’t notice it most importantly. Long time user of the Rhythm+ with my Peloton spin bike. Wife needed my old one for OrangeTheory classes (yes they use the same model and it's cheaper here) and I decided to try out the new Rhythm24 model. Works like a champ! I love the new band and the option to record my training directly on the device if my iPhone is not around. Works flawlessly with the Peloton spin bike ANT+ wireless technology. Totally accurate measurement and pretty much spot on with the AppleWatch reading when worn together. Easy to sync and use!!! How does cadence work for running and cycling? 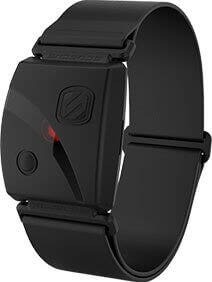 It uses internal accelerometers to detect rhythmic body sway while running or pedaling. Why does one of the LED lights glow after I have turned the Rhythm24 off? They stay lite until the internal capacitors are discharged. How does Triathlon Mode work? Set mode within Rhythm Sync app. Once set, the Rhythm24 will start in swimming mode and when transitioning, all you need to do is double tap the large multi-function button on the device and it will switch to the next mode… biking then running. You can record your entire race and upload the data to your mobile device after, and you will see all three of your stages with the corresponding data that comes with each of those sport modes. How does Duathlon Mode work? Set mode within Rhythm Sync app. Once set, the Rhythm24 will start in running mode and when transitioning, all you need to do is double tap the large multi-function button on the device and it will switch to the cycling mode. You can record your entire race and upload the data to your mobile device after, and you will see both of your stages with the corresponding data that comes with each of those sport modes. What does it mean when my orange lights drop from 3 to 2 to 1 when I am recording? Is there a way to check my battery level on the Rhythm24 without turning on my Rhythm Sync app? Is there a specific "rest" mode so it can be used while someone is sleeping? There is not a mode we call "rest", but we do have a heart rate only mode that turns off cadence and some other functionality to maximize battery life and memory. How do I do an HRV Measurement? Set Mode within Rhythm Sync app to activate Heart Rate Variability for Rhythm 24. Then use your favorite HRV app to record HRV data. What kind of useful data does an HRV measurement tell me? High heart rate variability is an indication of especially cardiovascular, but also overall health as well as general fitness. Generally speaking, it tells us how recovered and ready we are for the day. Also, HRV can react to changes in our body even earlier than heart rate. This makes it a particularly sensitive tool that gives us insights into our wellbeing. If I do a firmware update on an Rhythm 24, will I lose the recoded workouts that are on the device? No, the recording is stored on a separate flash from where the firmware is stored. How well does Bluetooth work in the water? Bluetooth doesn’t work in the water, cannot transmit. The Rhythm24 does have a record feature so you can record your swimming data and upload it to your mobile device after your swim. How well does Ant+ work in the water? Ant+ doesn't work in the water. The Rhythm24 has record mode, so you can record your swimming data and upload it to your mobile device after you swim. Is this as accurate as a chest strap and does it respond quickly to rapidly changing heart rates? Yes, we have reviewed testing that shows both the Rhythm24 and top chest straps reporting 94% accuracy and response. Are the Rhythm+ and Rhythm24 straps interchangeable? Is it waterproof and how deep can it go? Yes, it has an IP68 waterproof rating and that is to a depth of 3 meters. Where can I wear my Rhythm HR monitors? The Rhythm24 and Rhythm+ can be worn in multiple locations on your arm while providing the highest level of accuracy. Wear the Rhythm HR monitors on your upper forearm, biceps, or triceps snug enough to not move on your arm, but not so tight that it restricts circulation. How do I record a workout in a MultiMode Sport mode? Press and hold the small RHYTHM24 button to begin recording. Double- press MFBs to toggle between recording orange tri-LEDs, and green tri-Leds. NOTE - Green tri-LEDs need to be visible on RHYTHM24 to toggle between workout legs of MultiSports Modes. Double-press MFB to change workout legs. Any good pointers on how the Rhythm Sync app works? Utilize Rhythm Sync’s Help feature within the app using the i icon. How do you save and delete recorded workouts? Can I customize my HR Zones? Your heart rate zones are customized based off of your you personal info you provide within the My Details page of the Rhythm Sync app. Peak/Max Heart Rate: What’s the best way to determine your peak/max heart rate? If you know your laboratory tested current max heart rate, use that. If not, a great starting point is your age-predicted max heart rate, by subtracting your age from 220. Will it work at my Orangetheory gym? Orangetheory’s Beat Flex is a proprietary device that works specifically in Orangetheory gyms and is available to purchase at their locations all over the world. Nope, we can’t do that. Nope. we can’t do that. Using Apple Watch for cycling and running. Could I use this new Rhythm24 for the HR data? Yes you can and it provides a more accurate heart rate reading. Does this sync with a Peloton spinning bike and will my data show on the bike? Will the Rhythm 24 work with Polar and Garmin products? Yes, Rhythm 24 has ANT+™and Bluetooth®. How do I clean my new Rhythm heart rate monitor? Please, hand wash only with mild soap if needed.